Months ago, Debi Jackson watched as a photographer from National Geographic met with her young daughter Avery, taking pictures of her lounging on the chair in her family’s living room. Debi smiled as Avery posed for the camera, laughing and showing off some of her toys with the reporter. “The best thing about being a girl is, now I don’t have to pretend to be a boy,” Debi heard Avery say. By the end of the year, Debi, Avery, and Debi’s husband received a phone call from the National Geographic team. Although the family knew Avery was being considered for a feature on nine-year-old children around the globe and the ways that gender has shaped their lives, they were surprised to learn that Avery’s face would soon be staring back at them from the magazine’s cover. The magazine had chosen her photo for the cover of their special issue on gender. In an instant, once the magazine was published, Avery Jackson became part of LGBT history – the first openly transgender person to appear on the cover of one of the nation’s most revered publications. 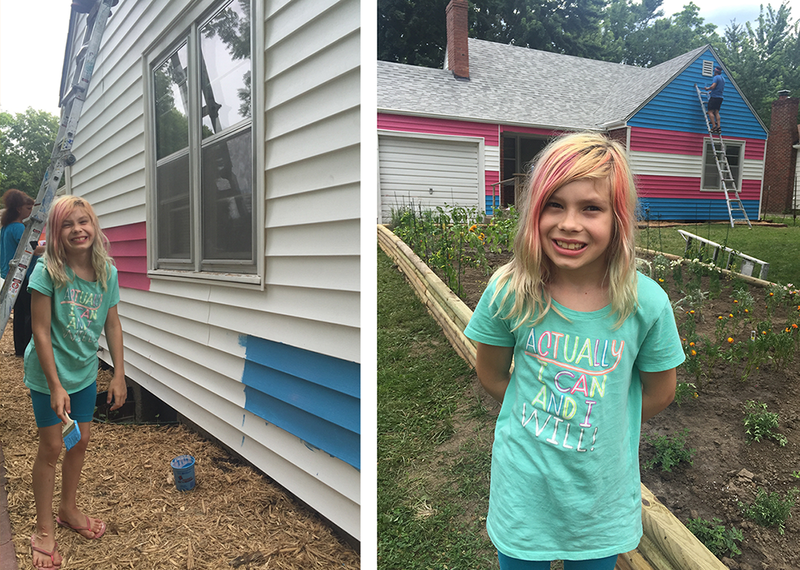 And what’s more – at nine years old, she has already helped challenge so many people’s limited, narrow notion of what it means to be transgender. Her story, illustrated in an image and a quotation, will undoubtedly leave an indelible mark on the world. 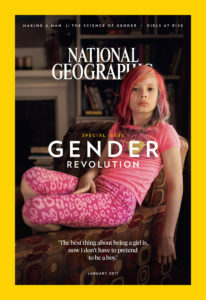 The cover of National Geographic may be the highest-profile experience Avery Jackson and her mom have undertaken so far, but the family is not new to speaking out about what it means to be transgender and why our laws must protect transgender people from discrimination. 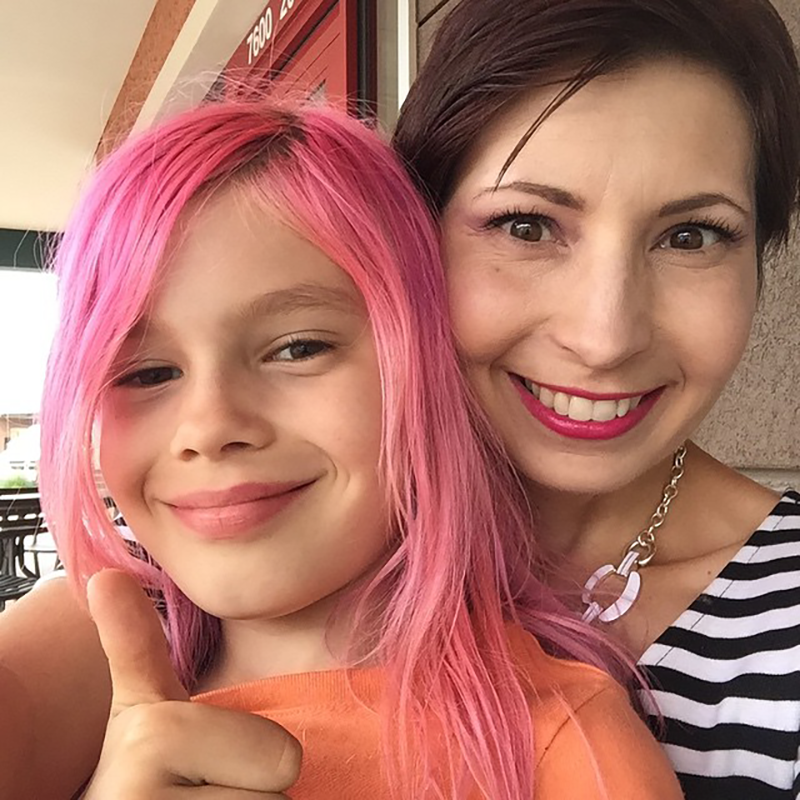 Debi has spoken about her experience raising a transgender child to many parents’ groups, has written about her own journey, has seen several speeches of hers go massively viral. Avery has appeared in newspaper articles and been on the radio. This winter, Avery published a children’s picture book called It’s Okay to Sparkle. 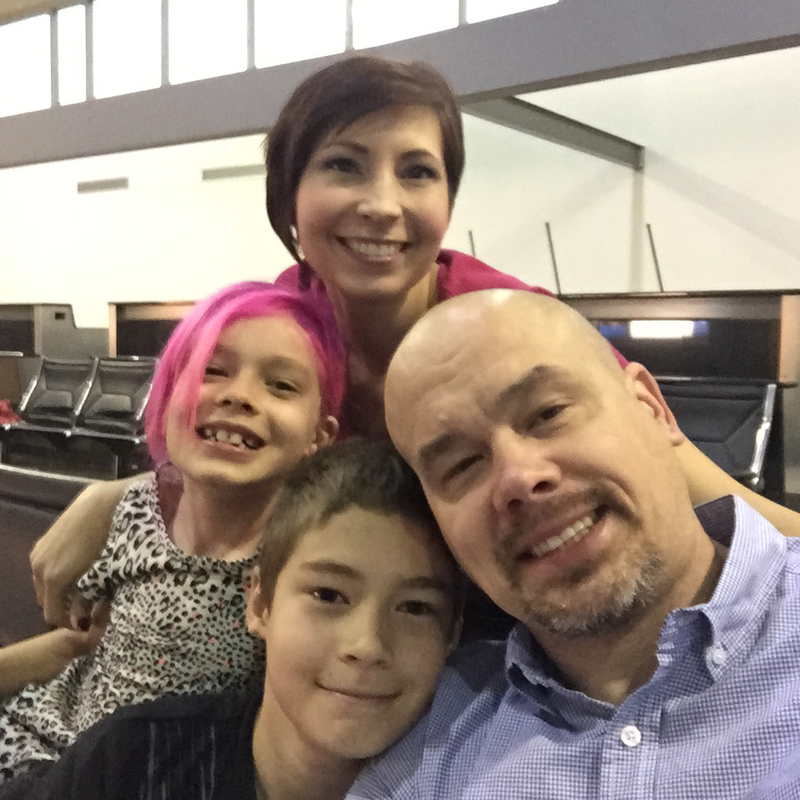 But despite her familiarity with this vital education work now, if you had told Debi Jackson just a few years ago that she would spend significant time helping to educate the public about transgender people, she wouldn’t have believed you. No, she was never aggressively opposed to equality for transgender people – but she hadn’t really considered the question at all, having so rarely encountered it. You see, a woman who grew up in Alabama, was born and raised in a die-hard Republican military family, and went on to become a lifelong conservative isn’t exactly what immediately comes to mind when you imagine an advocate for transgender equality. For years, Debi listened to Rush Limbaugh’s radio program for three hours a day. Her co-workers came to understand that if they didn’t want to listen, they’d have to avoid Debi’s office for three hours. Her TV news source of choice was Fox News. But despite the challenge in understanding, the next step for Debi and her husband was never a question. “I recognized quickly that we either support our child or we’re going to have a very hard time,” she said. That was five years ago – and in the time that’s followed, she has watched as the Republican party has shifted dramatically, often veering into hard-line stances on social issues and driving away families like Debi’s. Debi knows the value of sharing her story with decision-makers and with other conservative Americans. She’s attended lobbying days in both their home state of Missouri and Kansas, where Avery was born, meeting with as many Republican lawmakers as she can. She’s spoken about her journey with an approachable humility, aware that each person listening is coming from a different place. As a Christian, she is especially troubled by the increase in legislation nationwide that purports to protect religious freedom but is actually a thinly disguised permission for people to cite their religious beliefs as an excuse for discrimination. Legislation seeking to restrict restroom access for transgender people like her daughter also troubles Debi, striking her again as both deeply at odds with conservative principles – and also nonsensical. Debi often considers the future ahead for her family – her hopes and dreams for Avery as she grows up, beyond the 9-year-old girl who gazes back from the now-iconic cover of National Geographic. And, of course, there’s the question of simply establishing transgender-inclusive non-discrimination protections. In 32 states, including Missouri, transgender people can be legally fired, denied housing, or kicked out of a business or restaurant simply because they are transgender. 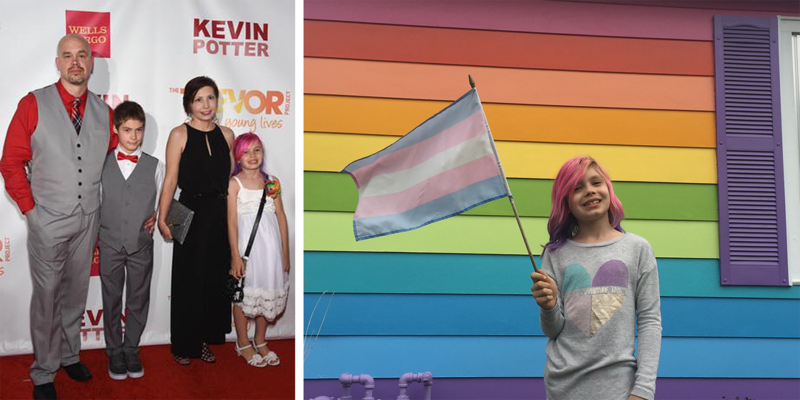 Without comprehensive non-discrimination laws on the books protecting people from discrimination based on gender identity in states or at the federal level, transgender people like Avery are vulnerable to discrimination, with no legal recourse.